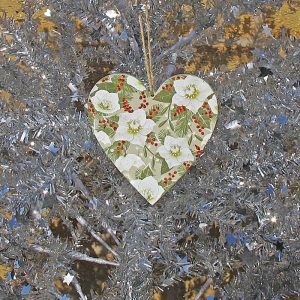 From the Gisela Graham Christmas Rose collection. 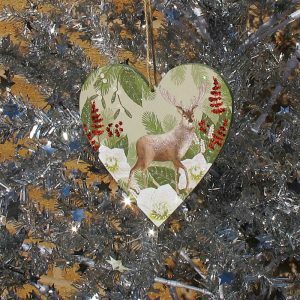 A stunning large Reindeer Heart Christmas tree decoration. 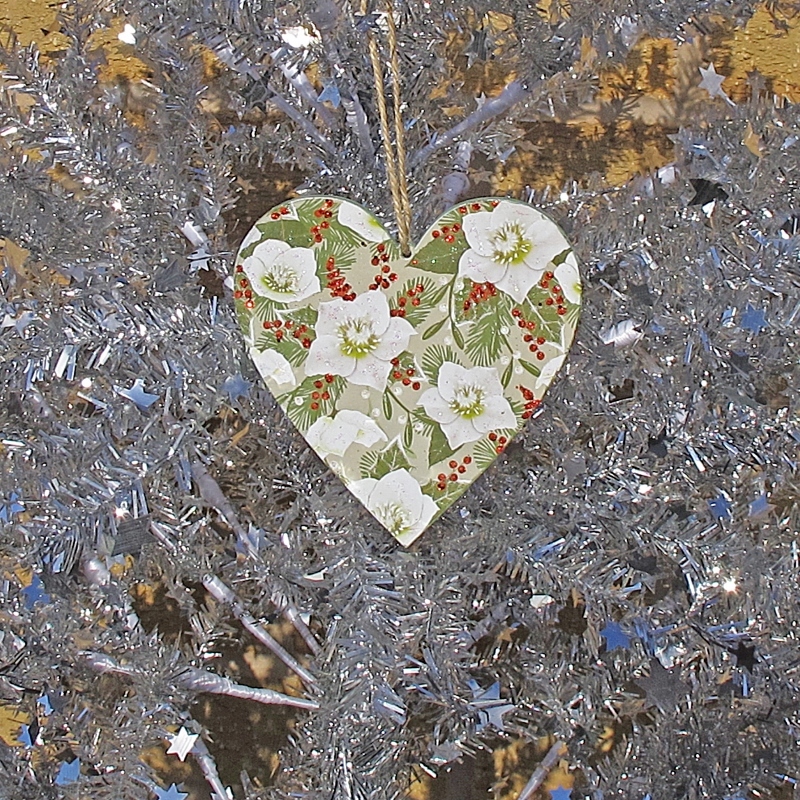 Beautifully crafted a green wooden heart, adorned with a very handsome stag in a woodland scene, surrounded by mistletoe, Christmas roses and sparkly glitter detailing throughout, on the reverse are an abundance of Christmas roses highlighted with red glitter berries.